Since 1955 when Lee Corman first opened the doors of Lee’s Appliance and Refrigeration Service on South Broadway St, Denver, through to today, the company remains family owned and dedicated to providing the very best levels of service in the industry. As exemplified by Lee himself over the many years, our business has been built on a strong set of values centered on Passion, Integrity and Mutual Dependence. We have Passion for the work we do and try and ensure that this is demonstrated at every touch point, whether it is one of our team in the back office taking your call, or our tech in your home or business conducting a repair. Integrity is a cornerstone principle and we strive to ensure that all stakeholders, whether it be our customers, suppliers, partners or our team are treated with honesty, fairness and respect. We recognize our success is dependent on our serving the needs of our customers, our team, suppliers and our partners. In different ways we recognize that we are mutually dependent, and as such have an obligation to meet and exceed expectations at all times. We are responsible stewards of our environment by employing the highest standards in the safe handling and responsible disposal and recycling of all materials used or removed from your home or business. 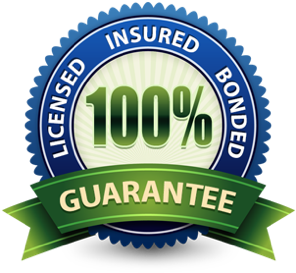 Our Technicians are all EPA certified and our business is licensed, insured, and bonded with all Technicians also having undergone background checks. Our Technical Expertise is unsurpassed with tenured technicians that attain and maintain the highest technical standards through direct contact with the manufacturers and ongoing technical training . With the average tenure of our senior technicians being over 12 years, we have the skill and expertise to service all brands of residential appliances, as well as a wide range of commercial refrigeration systems and multifamily coin op laundry systems. While highly proficient on all brands, we are factory authorized on Frigidaire, Electrolux, GE, Speed Queen, Turbo Air, LG, Euro Chef, Scotsman, Danby, Magic Chef and many, many more. We do not hide our charges. We openly disclose our service call which covers our expenses incurred to call on you and time to confirm or diagnose the problem. We then charge separately for labor and any parts which may be used. We often are able to conduct a simple repair for just the service call fee. Others will claim a free service call or trip and diagnosis, only to build these charges into their labor or parts mark up to cover their costs. Others will use a “blue book rate” which incorporates all these components, but inevitably, given these are national averages are often higher. We feel it is better to openly itemize the costs and our customers repeatedly tell us that we offer very competitive rates. Check some of our many testimonials and you will see that we strive to keep our costs reasonable, do the job right the 1st time and stand behind our work and name. We hope you will give us a try when you next need to repair or service one of your appliances.